Recession: Telcos may block Skype, WhatsApp calls, target N20tn revenue. With the economic crisis in the country hitting businesses hard, telecommunication firms are opting for drastic measures to boost revenue. Telecoms companies in the country are hoping to address concerns over revenue loss from international calls and hit a revenue target of N20tn by blocking subscribers from accessing Skype and other Over-the-Top services. It was reliably gathered that subscribers might also be prevented from performing certain functions like voice and video calls on WhatsApp and Facebook, among other OTT services. Skype is a proprietary Voice-over Internet Protocol software for calling other people on their computers or mobile phones. Phone calls using the Skype software can be placed to recipients on the traditional telephone networks; and calls to other users within the Skype service are free-of-charge, while calls to landline phones though reasonably priced, are charged via a debit-based user account system. “It is an aggressive approach to stop further revenue loss to OTT players on international calls, having already lost about N100tn between 2012 and 2017,” a manager at one of the major telecos in the country said. The source added that the increasing rise of the OTT players, who provide voice and Short Message Services, or apps such as WhatsApp, Skype, Facebook, BlackBerry Messenger and Viber, was eating deep into the voice revenue of telecommunications companies in the country by more than 50 per cent. A United Kingdom-based research and analytics company, Ovum, stated in a report recently that $386bn loss would accrue over a period of six years – between 2012 and 2018 – from Nigerian customers using the OTT voice applications. “Generally, the main fear of the telecoms operators here will be that customers will increasingly use Skype as a substitute for conventional international calls,” the Principal Analyst at Informa Telecoms and Media, Matthew Reed, said. 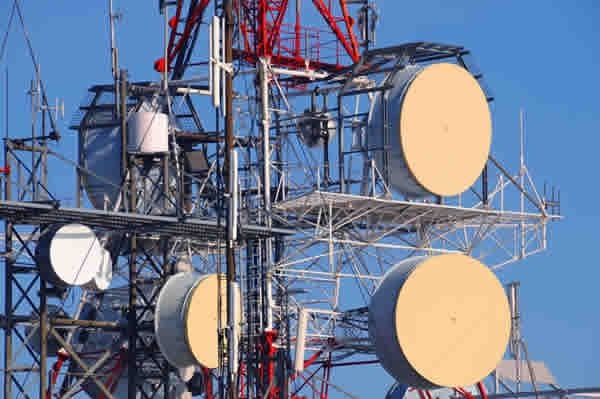 Telecoms operators in the country said that international calls made up a critical part of their revenue because of Nigeria’s large expatriate and Diaspora population. The apprehension over shift from voice call, according to them, is worsened by the steep decline in voice revenue. The operators stated that at the start, they were looking to offset the fallout of intense competition by closing gaps that were spurring revenue leakage in the business. They blamed the Nigerian Communications Commission for not properly regulating the sector in order to protect and keep them in business. The Managing Director, TechTrends Nigeria, Mr. Kenneth Omeruo, said, “I am not aware of this development but globally, operators and network equipment makers don’t really embrace Skype. Major operators in the country’s $38bn telecoms market such as MTN, Globacom, Airtel and Etisalat said if the NCC failed to take decisive actions, they would keep struggling to counter a trend in which the prices of basic voice and data services were declining. For instance, MTN Nigeria said that the OTT content services had a “cannibalising effect” on network operators’ voice and data revenue, because they provide “free” services, which duplicate those already provided by network operators such as voice calls and the SMS. According to the firm, a ready example is WhatsApp, which provides free instant messaging services as an alternative to text messaging services provided by mobile network operators. According to him, the problem is that these services are provided using network infrastructure of the operators, but without commensurate compensation to operators. Aina added, “At the same time, they are denying operators of revenue to grow their networks, thereby impacting on service delivery and long-term sustainability. “For instance, to date, MTN has invested over $15bn in building its network in Nigeria. You can now imagine an OTT leveraging the network to deliver its content without investing a kobo locally. The impact on revenue is huge. “Furthermore, because these entities are not licensed, and because they have not built any infrastructure locally, they do not have the same costs as the licensed operators. Aina, however, dismissed the allegation that some telecoms operators had continued to dispute a view that they were making enough money from their higher paying data services to offset the loss of voice and messaging revenues. He explained, “Every service is provided at a cost, and we cannot subsidise one service through revenue from another; so, the argument as to whether loss of revenue from one is being offset by another is really not a fruitful argument. Checks showed that in the United Arab Emirate, Etisalat and Du had recently lifted a ban on Skype services. Both telecoms companies had announced that their subscribers could now download the application online and make Skype-to-landline or mobile calls, which were not previously permitted. Many telecoms operators worldwide, including some companies in the United States, the United Kingdom, France and Spain, prohibit their mobile phone customers from downloading Skype’s software, or outlaw the use of voice over the Internet phone services in their standard sales contracts. Other carriers have imposed fees to undermine Skype’s attraction. Moreover, barriers to Skype software and similar Internet calling services are coming under increasing scrutiny as the Internet goes mobile. In 2013, the number of Internet-ready mobile phones surpassed the number of computers in the world for the first time, according to Gartner, a research firm. In my experience the sites such as and especially WhatsApp the use is less because of the app being free (as you still need WiFi) but it is most definitely the end to end encryption. The safety of the people who use WhatsApp is the main concern and that’s all.